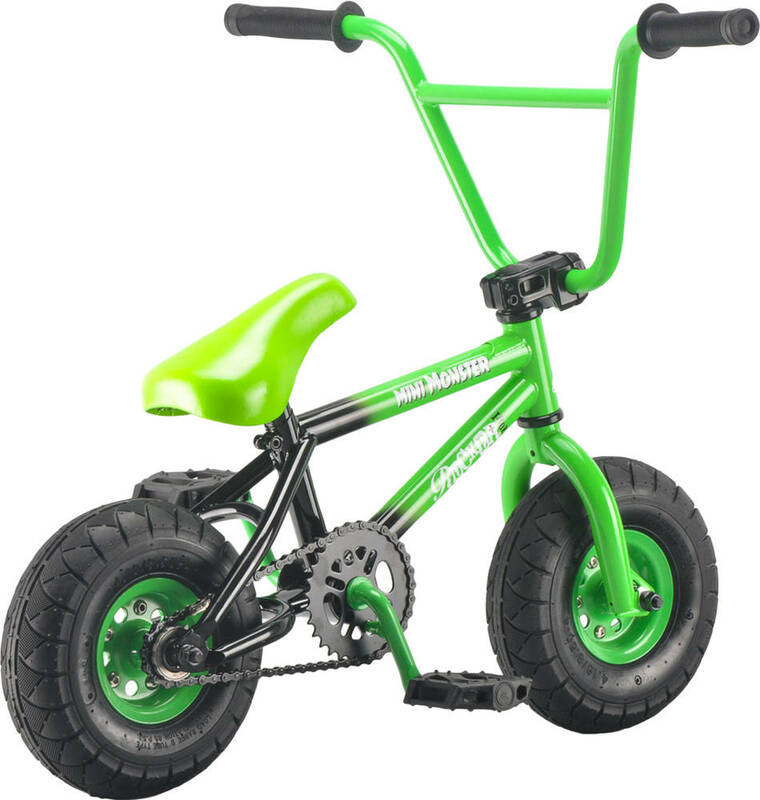 The Rocker+ edition comes with an improved fork with reduced clearance for much easier foot jams. 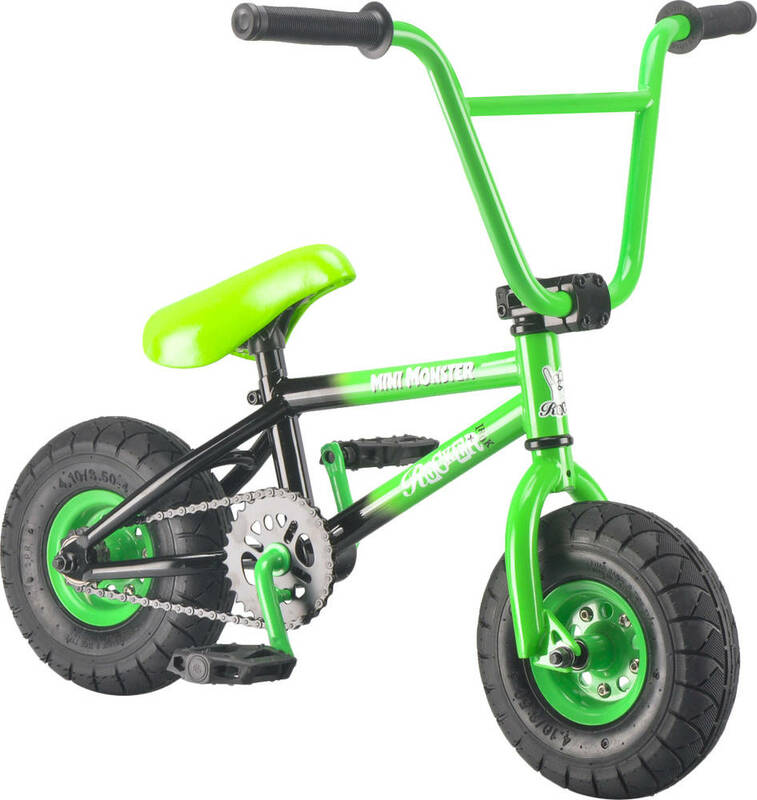 The frame has been tweeked with an angled seat clamp and micro drop outs for a super clean looking back end. 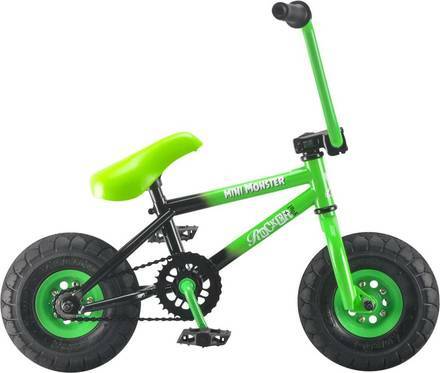 This Mini BMX bike has been designed in collaboration with Monster Energy, which is why it is covered in black and green colours and is called Monster Mini BMX. The Irok mini BMX is built with a smaller scale Lightweight Hi tensile steel frame and fat padded seat for added comfort. The high 30/14 gearing makes it easier to control and do technical tricks. Its very important to tighten the bolts holding the bar very hard, cross tighten them at least 4 times.